Our Axiom Library contains a long list of in-depth newsletters on a lot of different audio topics. Below, a quick-reference guide to some of the most-commonly asked questions about Home Theater, for the most part linked to longer articles for further details. The emailed questions I get, and queries that Axiom A/V experts answer on our Axiom toll-free advice line follow a not-so-surprising pattern, with certain topics ("Impedance" being a recurring puzzler) coming up again and again. I've added other questions that you may also be pondering in your travels down the road towards the ultimate A/V home theater. Q. When I compare different brands of A/V receivers, one is rated at 80 watts per channel into 7 channels, the other at 100 watts per channel. How important is the difference in power output? A. Although it seems logical that a receiver with 100 watts per channel represents a 25% increase in power output over one with 80 watts per channel, and therefore would sound 25% louder than the 80-watt-per-channel model, this difference in power output would be virtually undetectable. Practically speaking, the 100-watt receiver would only be about 2% louder, an increase in sound level of a fraction of a dB, which is normally not audible except with a test signal. To actually make a difference in perceived loudness that is easy to hear requires a 3-dB increase—a difference termed "somewhat louder" by most listeners—and you would have to double the amplifier power, to 160 watts per channel. Electrical power in watts jumps even more if you want a level that is "twice as loud." This occurs because of the logarithmic relationship of electrical watts to actual loudness in decibels (dB). Because of the way an amplifier converts power output in watts into acoustical sound, it takes a big increase in watts—double the amount at the least—to get real increases in maximum volume that we describe as "somewhat louder" or "twice as loud." Much of the time, your receiver will only need to produce a few watts per channel, typically somewhere between 1 watt and 10 watts per channel, to produce ample levels of loudness. But if you crank it up or a big dynamic peak in a movie soundtrack comes along, the receiver may have to deliver ten times as much power. So that 8 watts per channel suddenly becomes 80 watts per channel! Keep in mind too that about 90% of A/V receivers are rated with only one or two of the front channels driven at full output; the rest are running at a fraction of the main channel's output. For more on the relationship of amplifier power and playback listening levels, click here. Q. I want to set up a 5.1-channel surround home theater in my media room as well as running sound in several other rooms and on the patio. My budget is about $2,000. How do I accomplish it? A. It can't be done on a modest budget. Too many enthusiasts become hooked on the notion of wiring the house for sound in every room—and expect to do it with a typical A/V receiver. Wouldn't you rather have really good home theater surround sound in one room, with a big-screen TV, than pedestrian sound in many rooms, the latter provided by middling-quality non-hi-fi in-wall speakers? Whole-house multi-room systems are complicated and expensive, and require the services of an expert custom installer. And it's very difficult to control the sources from other rooms. But for most budgets and consumers, a thrilling home theater surround system in one room for $2,000, plus a High-Def big-screen TV (budget another $2,000 or more, depending on screen size and technology) is a far more realistic goal, and one that will satisfy family members better. Most AV receivers will let you run one set of speakers on the patio (in addition to your home theater in the living room) but you won't be able to independently control the volume from the patio speakers without going to significant additional cost. If you want multiple rooms, it gets complicated and expensive. If you want different programming going to the patio from what's playing in the living room, that also gets expensive. You can run multiple speakers on what's called a 70-volt system, but that's way too complicated for consumers and requires an installer and special transformers. For more tips on inexpensive alternatives to getting sound in other rooms, click here. Q. The "impedance" of the main speakers I'm considering is rated at 8 ohms, the center channel is 6 ohms, and the two surround speakers are nominally 8 ohms. How do I match the varying impedances to my A/V receiver? A. You don't have to match the impedances because each speaker in your surround system is driven by its own individual amplifier inside your A/V receiver. Understanding impedance, fortunately, isn't all that complicated. First, and most important: Impedance has nothing to do with sound quality. A 4-ohm speaker isn't "better" than an 8-ohm speaker. With a 5.1- or 7.1-channel A/V receiver, you do NOT have to match impedances of the various speakers in a surround sound system. You can use 8-ohm main speakers on the front left and right channels, a 6-ohm center, and 6-ohm surrounds, or a mixture of the above. 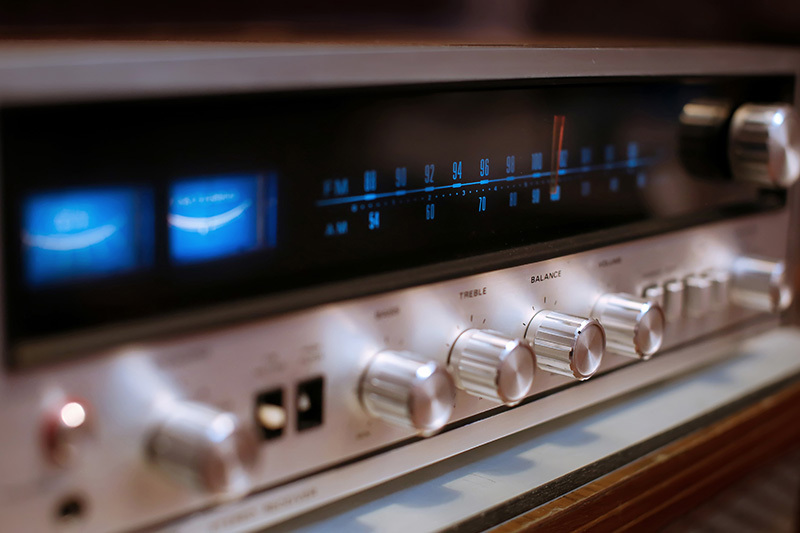 The only impedance rating that may cause problems with some brands of A/V receiver is 4 ohms or less, particularly if it's the main speakers that are rated at 4 ohms. A 4-ohm speaker requires more current flow (somewhat like water through a fire hose compared to a garden hose), so the transistors heat up more because more current is rushing through them to get to the speakers. Some brands of A/V receivers don't like this, and will overheat and temporarily shut down. If you like a particular speaker model that happens to have a 4-ohm rating, e.g. the Axiom M80 towers, then email or phone Axiom's toll-free line inquiring as to which brands of A/V receiver we recommend for the M80's. For more on detail on impedance and how it interacts with an amplifier, click here. Q. I want to upgrade to an HDTV large screen—either a plasma flat panel or one of the new DLP or LCD rear-projectors—but my budget is limited. I've designated $3000 for the big-screen TV and I'll have about $1000 left for a surround system. Please advise. A. Trust me: Don't blow your home theater budget on a big-screen TV that is too large or too costly, leaving little for a high-quality home theater surround sound system. Once you upgrade to a sharper large-screen TV image, you will want to match the screen image quality with equivalent sound quality, so budget as much for the home theater surround system as you designate for the TV display. Infatuated with the "coolness" factor of flat-panel plasma or LCD panel displays, too many consumers spend thousands on a flat-panel TV, only to find they don't have enough money to assemble a high-quality surround sound system. Disappointment is inevitable. A $399 home-theater-in-a-box will sound pint-sized and out of scale with the impact of the big-screen high-quality video image. And do not ignore picture-tube (CRT) technology that is much less expensive than the latest LCD, DLP, or plasma flat-panel displays. The newest HDTV technologies are expensive, costing twice as much as a CRT-based HDTV rear-projection set. Excellent 46-inch to 50-inch HDTV rear-pro sets based on proven CRT technology are available for under $1,000, about half what a DLP or LCD rear-pro set of the same size sells for. For more on the advantages and disadvantages of different TV display technologies, click here. Q. I've been told that there are subwoofers and speakers that are good for home theater and others that are great for music. Can you explain which one the Axiom subs are best suited to, and why? A. A smooth, accurate and transparent loudspeaker or subwoofer doesn't distinguish between different types of sound. It does not know which electrical signals are reaching it from the amplifier, DVD player, CD player or turntable, whether it's the sound of a summer rain storm on a movie soundtrack, an explosion in a war picture, the dynamic musical shadings of a full orchestra, or the full-bore impact of a rock band. The final test of a transparent loudspeaker is always accuracy, and musical realism, and that includes subwoofers. A neutral loudspeaker accurately reproduces the audio signals, no matter what the source, so a subwoofer capable of realistic reproduction of a jazz acoustic bass or pipe organ will do just as good a job with explosions and dinosaur footfalls. Likewise, the delicate timbre of male and female vocals and movie dialog or even the sounds of a helicopter flying overhead will be handled with equal aplomb by an accurate speaker. Read more about excavating deep bass. Q. I'm upgrading to a big-screen TV display. How do I figure out what size of screen to get? Is there some method to determine the ideal screen measurement? A.For true HDTV programming presented in 1080i (interlaced) or 720p (progressive scanned) lines, you can view the screen from a distance that is twice the diagonal screen measurement, about 8 or 10 feet back from a 50-inch widescreen set. But keep in mind that most High Definition (HDTV) and Enhanced Definition (EDTV) sets are exhibited by retailers using HDTV or DVD signals, which will look stunning on the new DLP, LCD, plasma or CRT large-screen sets. Don't forget just how crummy conventional analog non-HDTV programs may appear viewed that close. Consider how much standard broadcast material you watch because you will want to be three to four times the diagonal screen measurement back to view it about 12 to 15 feet. While more and more TV series and special events like the Olympics are broadcast in HDTV, there are still hundreds of shows and thousands of hours of TV, including newscasts and lots of older TV series that conform to the 50-year-old NTSC television standard. If you get too large a screen, these conventional TV images can look much worse than on your old 27-inch or 21-inch small-screen CRT set. No amount of special Digital Reality Creation or line-doubling circuits can upgrade poor-quality video, and the larger screen simply magnifies the flaws. Having lived for a number of months with Samsung's model HLP5063W 50-inch DLP widescreen rear-projection HDTV, I can attest that this set has stunning picture quality. Viewing NBA basketball in HDTV and DVD movies from a viewing distance of 10 feet away, the image clarity is a knockout. But regular broadcasts in 4:3 non-HD look quite fuzzy and degraded on that big 50-incher unless I move back from 12 to 15 feet. Call me a High-Definition snob, but once you've viewed great HDTV programs or DVDs for a few days, you immediately notice all the defects in conventional TV. Everything will be in Hi-Def eventually, but that is still some years away. For more tips on moving to a large-screen HDTV set, click here. Q. I've noticed that some large-screen rear-projection sets I've checked out in stores look kind of dim and washed out. Is this a problem with all rear-projection TVs? A. All rear-projection large-screen sets are optimized to display the best contrast and brightness when viewed with the screen at eye level. As you move to one side at increasing angles there will be a distinct fall-off in brightness and contrast, usually at angles greater than 45 degrees from directly in front of the screen. Few stores display rear-projection sets properly, raised on a platform. If you look at the picture quality of a rear-pro set that is on the floor from a standing position, it's not a fair test, as it will be much dimmer and have less vivid color and contrast than when it's viewed correctly. Sit down or squat down to look at the set if you are comparing two different rear-projection models. Look for stores that raise the TVs up on a platform or have a seating area so you can judge picture quality at its best— at eye level. New rear-projections sets are much better at delivering uniformly bright and sharp images over a fairly wide viewing area, but it's still worthwhile to check a set in the store for hot-spotting, an unusually bright spot in the center of the screen. Check the picture for uniform brightness and contrast as you view it at increasing angles away from head-on. For more detail on HDTV and large-screen technology, click here. Q. Some stores tell me to use direct-radiating speakers at the sides or rear, while others tell me I need a bipole/dipole type of surround speaker. Please explain which type I should get, and why? A. In virtually every listening situation for DVD movie playback or for multichannel music, quadpolar surrounds like Axiom's QS8 surrounds will be more effective than direct-radiating speakers at producing convincing surround sound involvement for all viewers and listeners. Although conventional direct-radiating speakers can be equally excellent as surrounds if you are sitting in the ideal sweet spot (halfway between the surrounds, and midway between your front speakers), if you move away from that position and for other viewers or listeners in the room the quadpolar surrounds will deliver superior envelopment and involvement in the music or movie experience. And because of their all-directional qualities, they will be much simpler to place in the room without fussy fine-tuning required. For more detail on the specifics of surround placement, click here. Q. What type and gauge of speaker cable do I require to make sure I don't lose sound quality? I've seen many brands, some of which are very expensive. A. Don't get caught up in the cable and connector debate, wasting large sums on special cables from manufacturers whose scientifically insupportable claims of improved sound quality have never been demonstrated in controlled double-blind tests. Using 12-gauge copper speaker cable will be effective even for quite long runs of 40 feet or more to your main and surround speakers. This will keep resistance to a fraction of an ohm, an electrically insignifican't and inaudible—level. Using good quality cable and connectors is prudent, and gold plating will never tarnish, but keep in mind that the electrical contact made by the connector is no different from a bare wire inserted through a binding post. Most manufacturers of specialty cables and connectors simply want your money, hoping that your imagination combined with the high cost, will supply the alleged magical qualities claimed for their special cables at thousands of dollars per pair. For more in-depth discussion on the cable controversy, click here.